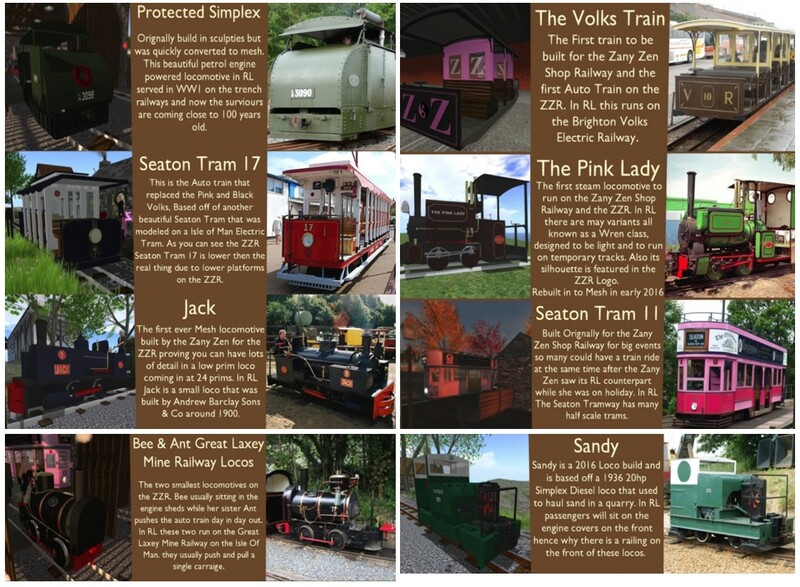 Recently I read a post about the Zany Zen Railway on Mona Eberhardt’s blog “The unique, scratch-built narrow gauge Zany Zen Railway and its creator“. Mona interviewed her friend Zen Swords (ZenriaCo Resident) about her baby, abouth the Zany Zen Railway or shorter the ZZR. It is always fascinating for me to read about the passion and creativity of others in Second Life and to explore it. In the interview Zen reports about her struggle to find a fitting place for her railroad and about the beginnings of the railroad. 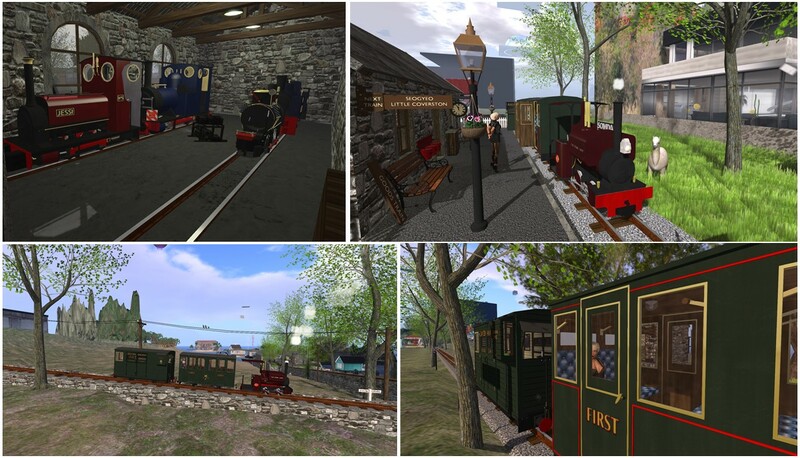 The ZZR is a narrow gauge railway with 4 stations that extends over 4 sims on Second Life Mainland. The train, the four stations and every detail is made with love for the details. The train is annonuced at the stations and it is really fun taking a seat and driving with the train. The only downside is that the surrounding doesn’t fit at all. ZZR is build on mainland and the environment is either just flat and empty land or ugly buildings. In addition there’re many skyboxes and platforms in the air that destroy the view. But if you focus on the train itself, ZZR is something you should see. In particular I enjoyed my visit to the museum at Seogyeo station. There I learned about the narrow gauge locomotives and waggons in the physical world, which were rebuilt by Zen for Second Life. I came to Ahndang Station and to Seogyeo Station…. At Little Coverston Station the train stops and returns back heading to Somdari Station. On my way back, I stopped at Seogyeo Station and visited the museum and the gift shop. Visiting and traveling with the Zany Zen Railway is really fun. In particular I enjoyed the museum and looking at all the little details at the stations and at the train itself. You just need to blind out the surroundings. Thank you Zen Swords (ZenriaCo Resident) for creating the ZZR and good luck for your further work with it.